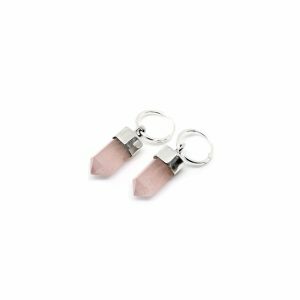 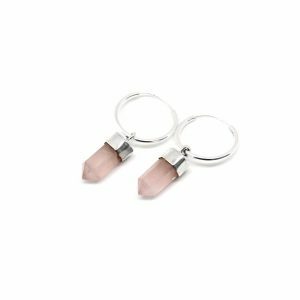 At Tegen Jewellery we love everything cosmic and quirky and so this Valentine’s we have our hearts set on our new Rose Quartz Collection. 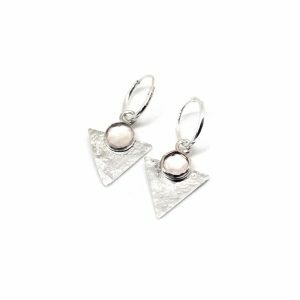 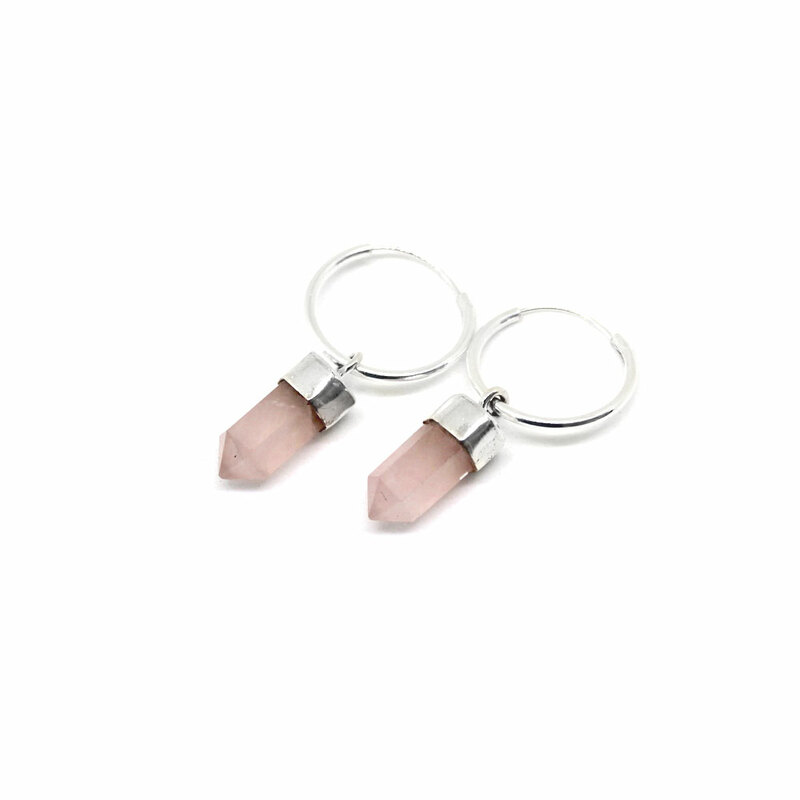 Pretty in blush pink and cut to sparkle like the stars rose quartz is known as the stone of love. 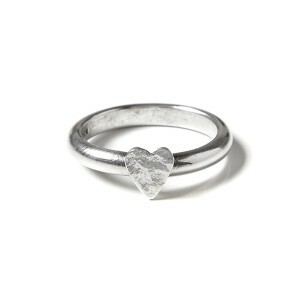 This little treasure is the embodiment of unconditional love with its a gentle energy and ability to bring compassion. 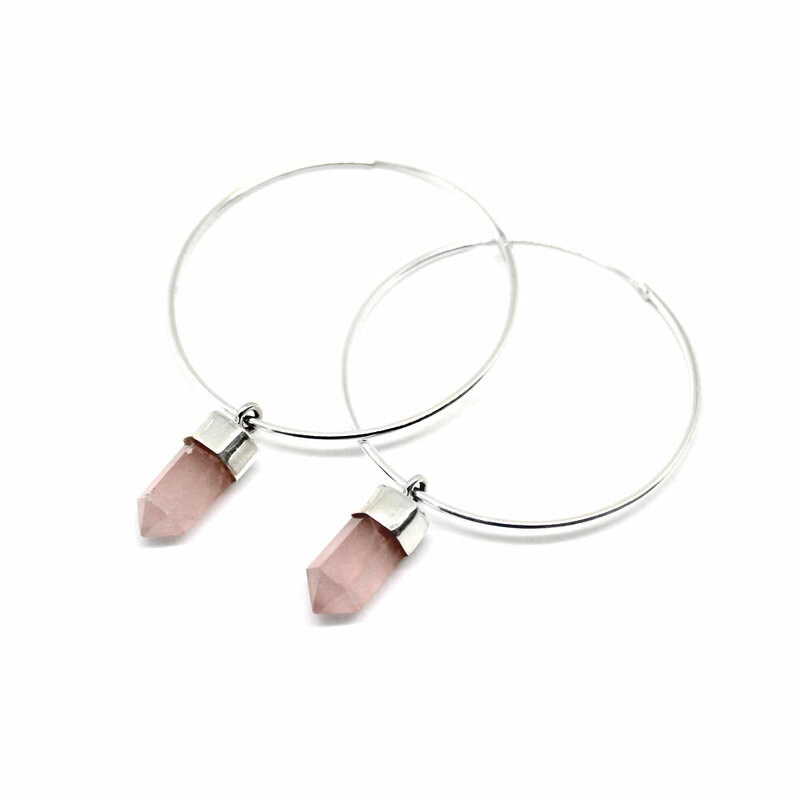 We adore rose quartz and have incorporated it into a range of pieces in our new range. 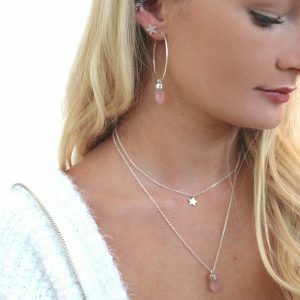 Have a look at our Callisto Rose Quartz Pendant, our Astrid rose cut rose quartz Pendant and our Callisto Gemstone point rose quartz hoops, in mini, midi and maxi. This beautiful stone is a must to incorporate into a less traditional Valentine’s day gift that is still pink and precious. Having a piece of jewellery personalised is a wonderful way to make an already lovely gift mean even more. 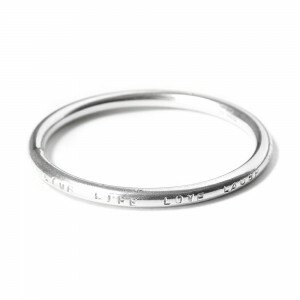 Our favourite of our personalised range is our Nerissa Bangle. 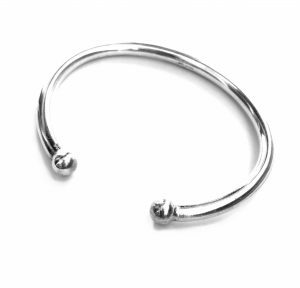 Whether it’s polished or textured, in sterling silver, white, yellow or rose gold, this chunky bangle is a beautiful gift. 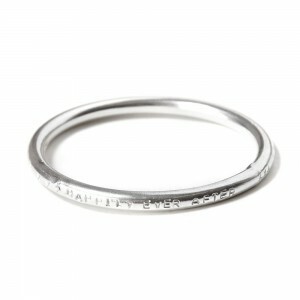 We hand stamp your personalisation onto the bangle exactly where you want it, with whatever sentiment you want. A perfect way to wow on Valentine’s day. For those of you in favour of the traditional, our minimalistic Hereitti heart ring is a dainty little ode to the ultimate symbol of love. 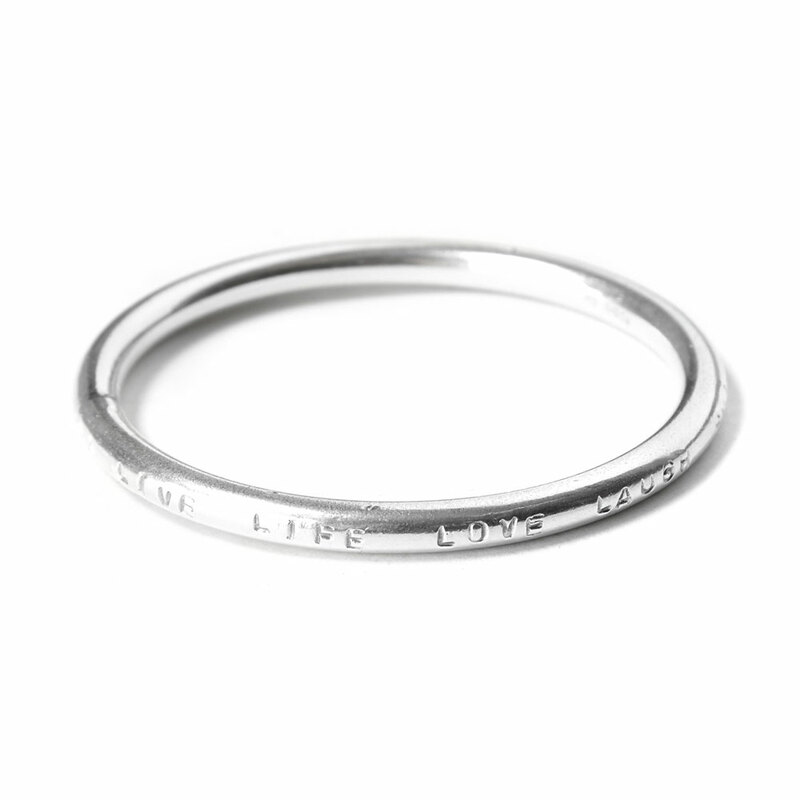 Our little Hereitti ring is a sweet and understated declaration of love. 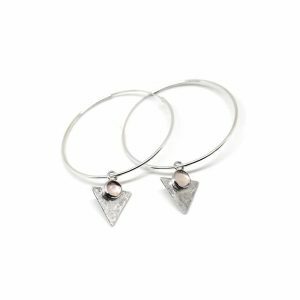 Hammered or polished, a sweet little sterling silver heart is set on a simplistic D wire, to draw all attention to the little heart. 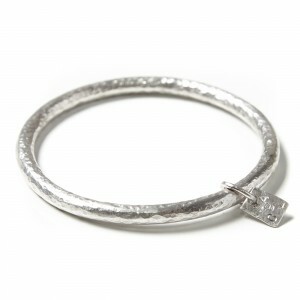 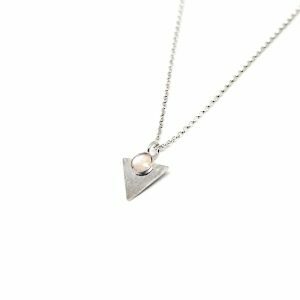 This gorgeous piece is available in sterling silver, white, yellow and rose gold, to match any jewellery style. 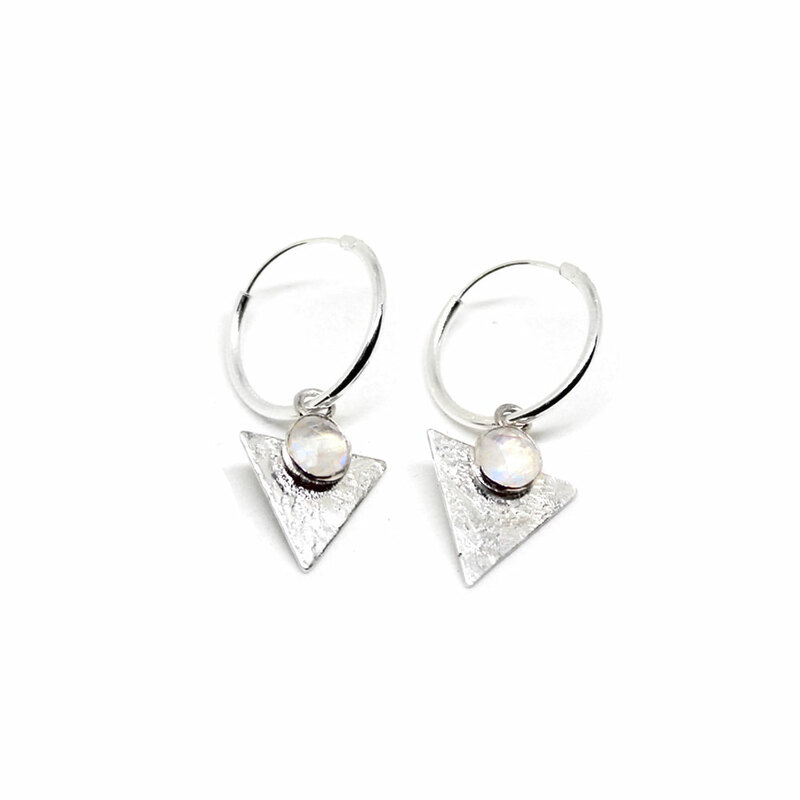 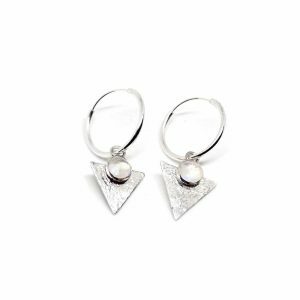 Jewellery isn’t just a gift for our merbabes out there, you can treat your merman to Tegen Jewellery too! Our Tane or Neptune open bangles are available in both mens and ladies sizes, made from solid sterling silver they a perfect chunky band for everyday wear. 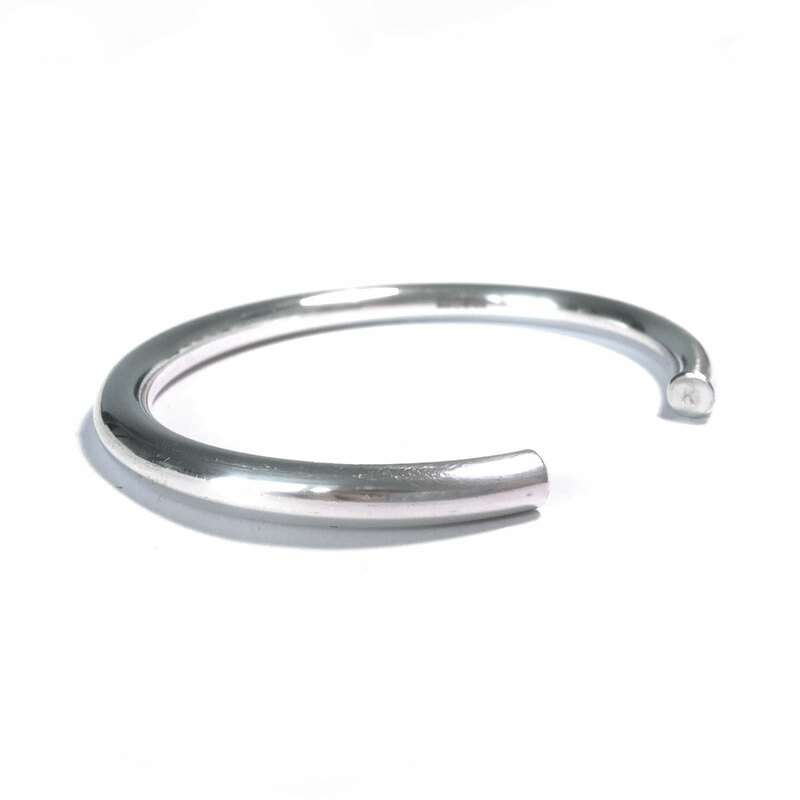 We can personalise it to your taste and polish or hammer it however you like. A fabulous and heartfelt gift for your guy this Valentine’s. Every pirate needs a signature ring, and we have a fabulous range here in this treasure trove. The Temana signet ring is a sterling silver statement piece that is the perfect accessory for everyone this Valentine’s. For a chunky gold signet ring our Mähäna ring is a perfect fit. Valentine’s jewels all round! 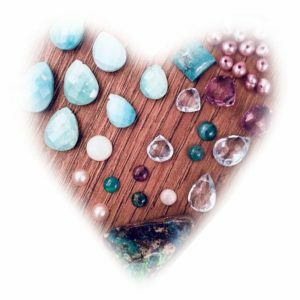 Whether you are buying for someone else or treating yourself this Valentine’s (something we are totally on board with, we should all treat ourselves more often!) 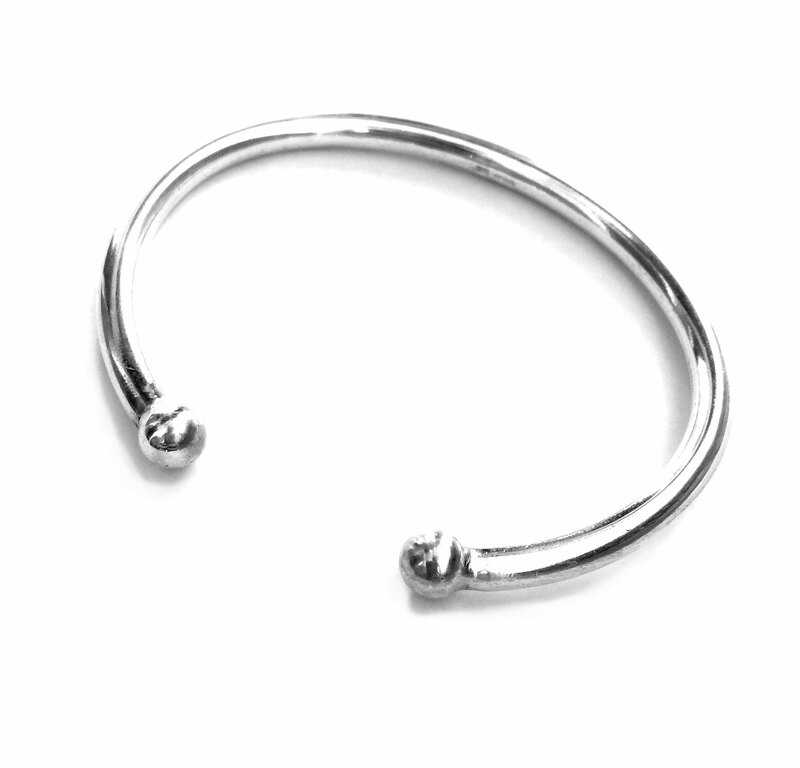 here at Tegen Jewellery we have something perfect for you. To make sure your gifts are with you in time for the day of love, place your order with us by Monday 11th February. We can’t wait to create the treasure of your dreams!